This 1986 manufactured home has a lot to offer. On one of the larger corner lots in this sub division it gives you plenty of parking. Three bedrooms, two baths, laundry room and eat in dining area. This home features laminate flooring in the living room, new tiled plank flooring in the kitchen and dining area. 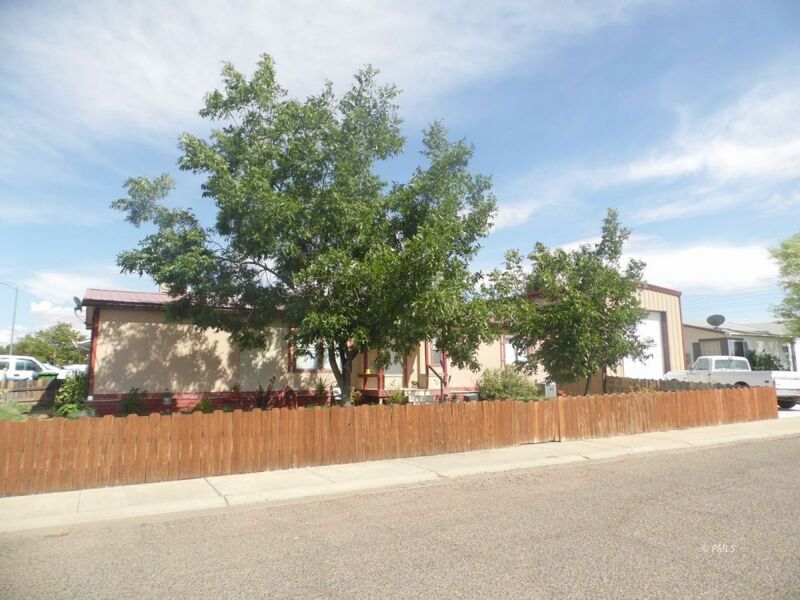 The air conditioner is 3 years old, new water heater, new knotty alder wood kitchen cabinets/counters,appliances and new plumbing through out the home, A maintenance free metal roof with new gutters. This home also has a huge detached garage/shop, is landscaped, And to top it off there is an FHA approved foundation and certificate! Call me to see this great property.